Although cab services such as Uber and Ola are thriving, Indians continue to invest in cars for diverse reasons; convenience and safety – particularly for family trips, long trips etc., aspirational – it is a symbol of wealth. There are over 25 Million private cars in India today. It is expected to double by 2023. In Karnataka alone, there are 10x more private cars than taxis; a number that remains steady across other metro cities as well. This leads to a creeping problem of utilization of private owned vehicles in the country that has largely remained unaddressed. Private car owners today face multiple issues – (1) traffic and parking, (2) maintenance, and (3) full-time driver retention. There is no true on-demand, reliable driver service for personal cars that exists today. While there are several unorganized operators offering drivers; these companies aren’t backed by a strong technology platform, require a minimum of 4-5 hours (if not the previous day) advance booking, need pre-determined time commitments per booking and mandate a return journey. Further, there is no assurance of driver quality or quality customer experience. Bengaluru-based DriveU, a professional car driver service allows customers to hire a part-time, driver-on-demand at an affordable cost (starting at INR 89/hour), while enjoying the comfort of traveling in their own cars. The DriveU team ensures seamless user experience by implementing the best practices across technology, driver verification, training methods and on-road commute experience. DriveU follows stringent policies for before registering drivers on its system; it is a mandate that every driver must be verified by the police and the Regional Transport Office. DriveU has the potential to significantly increase driver incomes. Most private full-time drivers are paid INR 8-15k per month. DriveU helps drivers become micro-entrepreneurs and increases their income significantly ~50 to 100% or higher in some cases. In addition to higher incomes, driver aggregation platforms such as DriveU have the potential to improve quality of life through training in etiquette, hygiene, service quality etc. Operational since July 2015, DriveU has already served 100,000+ trips across 6 cities – Bengaluru, Chennai, Mumbai, Delhi NCR, Pune and Hyderabad. Rahm Shastry co-founded Drive-U in 2015. Rahm oversees stakeholder management at DriveU and works with the product, operations, and marketing and communication teams closely. With DriveU, Rahm’s vision is to vision to offer India’s first technology-enabled, on-demand driver service for personal automobiles. 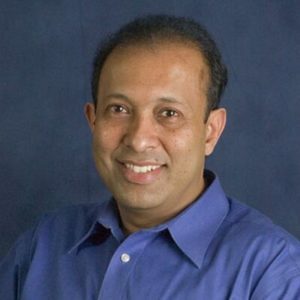 Ashok is a hands-on COO and he focuses towards building strategy, marketing, and operations. 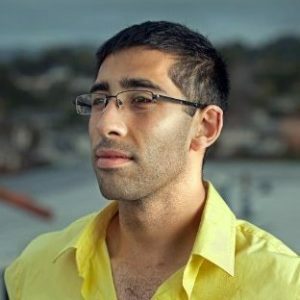 Ashok graduated from California State University in Hayward, CA with a focus on marketing, finance and psychology.